Busy streets and buzzing people, what else comes to mind when you think about New York? You are right, steakhouses! 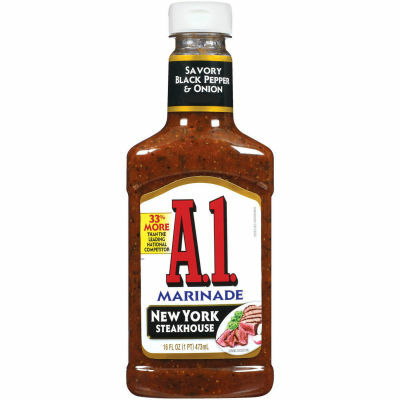 NY features some of the world class gourmet steakhouses, and we, at A.1. sauces, took it into our hands to bring their authentic flavor to you at the ease of your home.One ingredient that everybody agrees upon which pairs up perfectly with steak is black pepper. This New York steakhouse style marinade packs a palatable heat from the peppers and a mix of other tart and spicy ingredients like tamarind, tomato puree and dried chunks of onion, garlic and parsley. Spice up your protein with a generous amount of marinade before grilling, and watch your guest licking fingers after the meal!